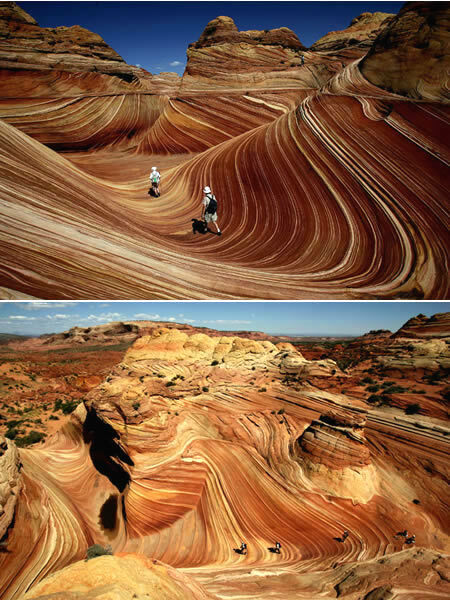 Views of the stunning red rocks on the border of Arizona and Utah. 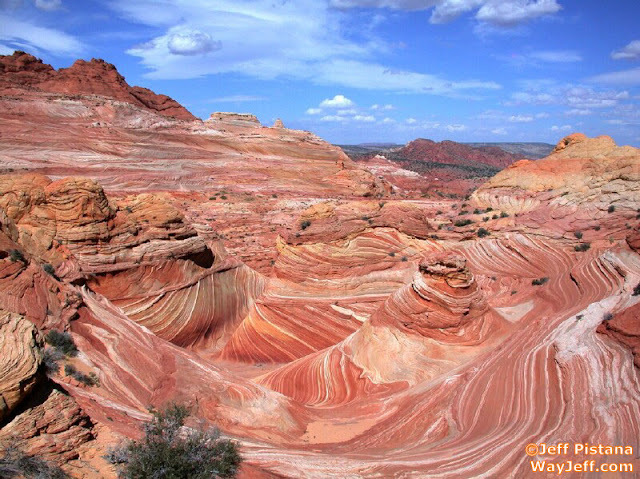 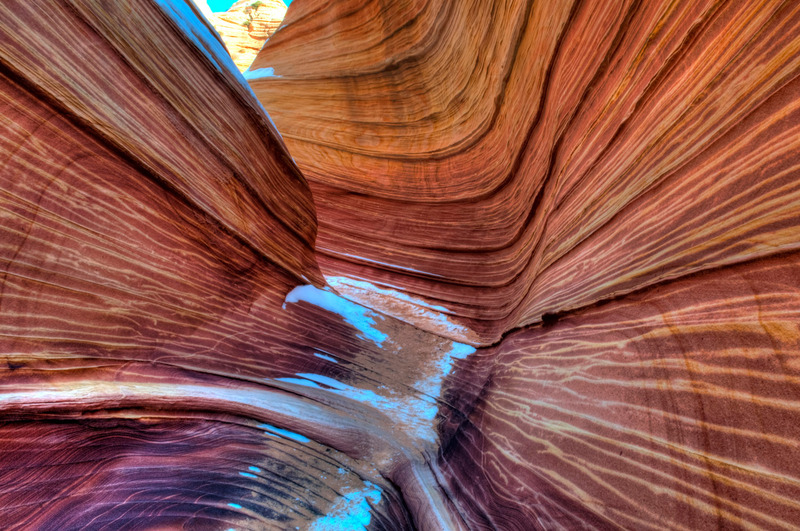 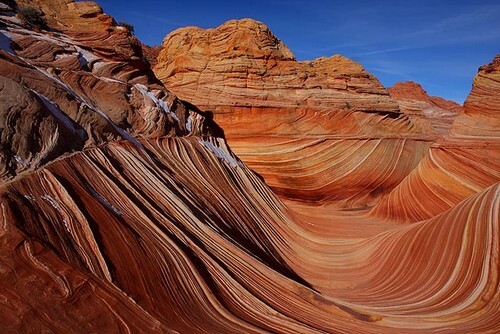 The Wave comes from the sand dunes about 190 million years old who have been turned into stone. 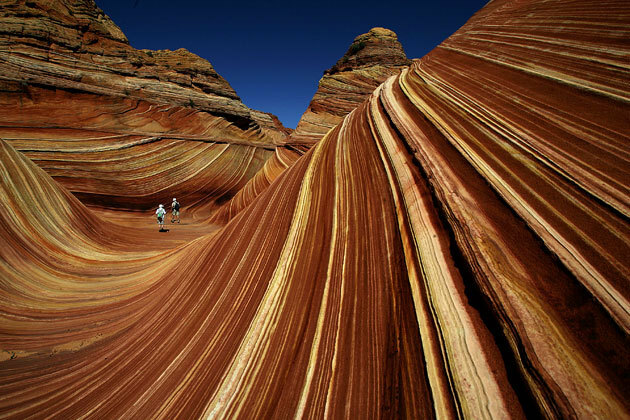 These formations are rarely known can only be reached by walking through the journey as far as 3 miles and without a hitch.